Has Iran Gained a Foothold in the Arabian Peninsula? According to a sensational report by Awad Mustafa in DefenseNews, a Gannett publication, not only has Tehran signed an agreement with the United Arab Emirates over three disputed islands near the Strait of Hormuz, but it has also reached a possibly even more important accord with the government of Oman. Both of these agreements have vast implications for the oil trade, the world economy, and Iranian influence. According an unnamed "high level UAE source," secretive talks taking place over six months led to a deal on the Greater and Lesser Tunbs finalized on Dec. 24: "For now, two of the three islands are to return to the UAE while the final agreement for Abu Musa is being ironed out. Iran will retain the sea bed rights around the three islands while the UAE will hold sovereignty over the land." This is big news, but yet bigger potentially is the source's stating that "Oman will grant Iran a strategic location on Ras Musandam mountain, which is a very strategic point overlooking the whole gulf region. In return for Ras Musandam, Oman will receive free gas and oil from Iran once a pipeline is constructed within the coming two years." Both agreements center around the Strait of Hormuz, the world's most important oil passageway and vulnerability. The UAE deal involves the tiny but strategic islands of Abu Musa and the Greater and Lesser Tunbs near the straits, occupied by Iranian forces since 1971, just as the UAE emerged as an independent country. It's not clear what granting to the Iranians "a strategic location on Ras Musandam mountain" means but Musandam is the very tip of the Straits of Hormuz and Tehran winning access to any sort of military position there could enhance its ability to block the oil trade as well as make trouble on the peninsula. 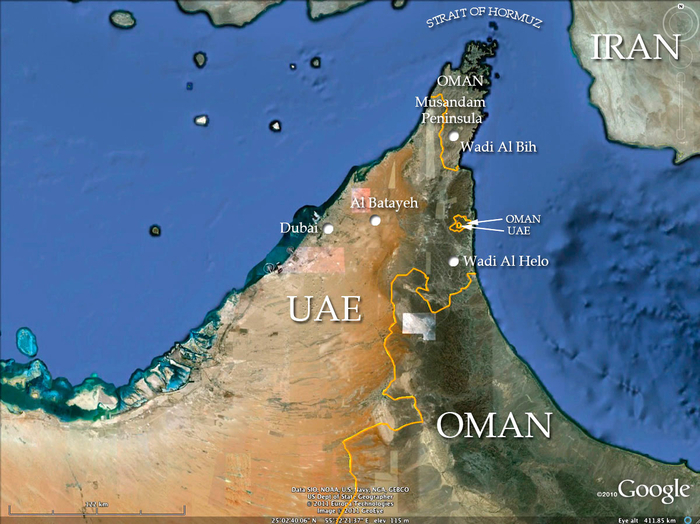 Oman's territory includes two non-contiguous areas, one of which is Musandam at the Straits of Hormuz. Oman's role in facilitating the UAE-Iran talks, says the source, was approved by Washington: "Oman was given the green light from Iran and the US to reach deals that would decrease the threat levels in the region and offset the Saudi Arabian influence in the future by any means." (1) As if the Joint Plan of Action announced by the P5+1 and Tehran on Nov. 24 were not a disaster on the nuclear issue, it is also encouraging regional governments to appease the bellicose and ambitious Iranian regime. (2) That the Obama administration seeks to "offset" Saudi influence with Iranian influence sounds unlikely – but given the geniuses occupying the White House these days, who knows? the Iranian embassy in Abu Dhabi said in a statement that the news carried by a number of Arab websites regarding the three Iranian Islands in the Persian Gulf is baseless and fabricated. We have always emphasized that the issue of sovereignty of the Islamic Republic of Iran over the Lesser Tunb, the Greater Tunb, and Abu Moussa cannot be the subject of Iran-UAE negotiations. 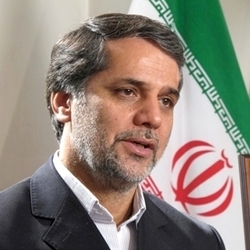 … Any type of news fabrication on Iran-UAE negotiations on the sovereignty of those three islands is absolutely baseless, and sheer lies, and we categorically deny them. In similar fashion, one would now expect an even stronger denial from Tehran (as opposed to the minor one yesterday), as well as one from Musqat, the capital of Oman. Last year, the Iranian Revolutionary Guard Command inaugurated a naval base on Abu Musa. The source stated that the Iranian military on Abu Musa has started to stand down. "They are in the process of destroying their bunkers on the island," he said. … The source added there is a fear of a violent backlash in Iran to the deal. Seyyed Hossein Naqavi Hosseini, rapporteur of the Iranian parliament's National Security and Foreign Policy Commission. Jan. 20, 2014 update: Responding to the DefenseNews article, Seyyed Hossein Naqavi Hosseini, rapporteur of the Iranian parliament's National Security and Foreign Policy Commission, told the "Fars News Agency" that "Iran has never negotiated over its trio islands, as it sees this issue which falls under our country's territorial integrity as basically non-negotiable. The three islands of Abu Musa, the Greater Tunb and the Lesser Tunb are inseparable parts of the Islamic Republic of Iran's soil." Naqavi Hosseini slammed DefenseNews for "a completely forged and untrue story." He did not address the Omani aspect of the report. Comment: This is still less than the full-throated denial one expects from the Iranian government. Nonetheless, short of some new information that confirms Mustafa's sensational report, I shall assume that there is no break-through deal and that the status quo continues.